VIZ | Blog / It's Officially a Hit! The Promised Neverland anime is a winner! Read the manga and find out why! 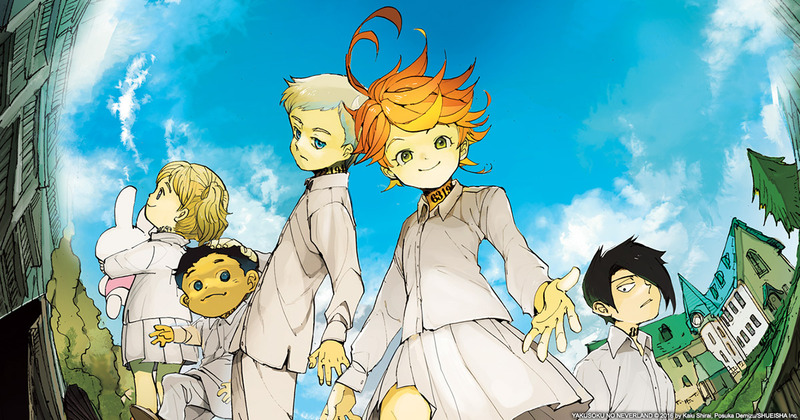 A little over a year ago, I wrote that The Promised Neverland was going to be a big hit. Turns out, I was right! The anime has recently started and it's caught on like wildfire. And there's a good reason--the manga it's based on is amazing! But don't take my word for it, take past me's word for it. Here's the original feature I wrote about why I thought this was gonna be big. Once in a great while, a manga comes along and within the first few chapters, I think “This is gonna be big.” It doesn’t happen often, in fact, it’s exceedingly rare. I think many manga have potential to be hits, but I’m rarely so sure. To be a massive hit, the manga has to have the perfect combination of ingredients: a great premise, fully realized characters, beautiful and distinctive art, solid story structure and the X-factor. 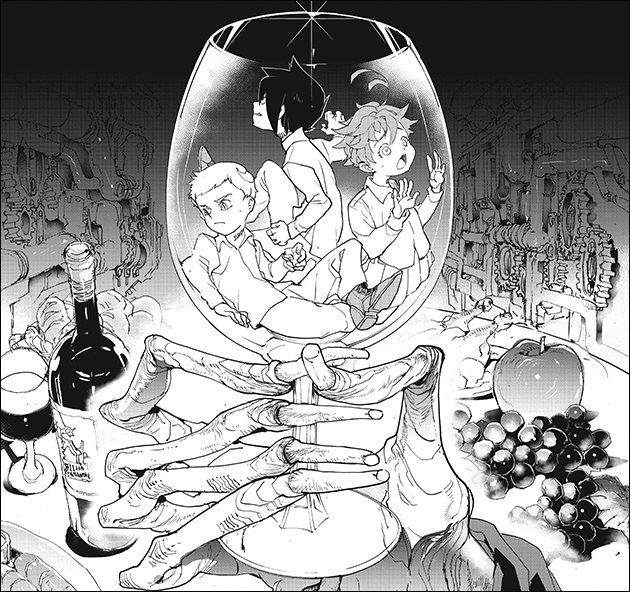 The Promised Neverland has all those ingredients and combines them in the most delicious way. I probably shouldn’t have started out a review of a manga about demons eating children with a food metaphor, but it’s too late now! Emma is a happy kid. She lives in a wonderful orphanage full of other kids she loves as if they were her family. Taking care of everyone in this harmonious world is the beloved caretaker simply known as Mom. Aside from the strange daily tests the kids have to take, it’s a great life. But it doesn’t take long for the veneer to melt away and reveal the hideously cruel fate in store for the children. They’re on a farm, being raised as food for demons. This sets the main character Emma off on a mission to not only defy her macabre fate but rescue everyone! That’s the premise of the manga and it’s a great one. Children being raised as food for demons is as dark as it gets and hooks the reader instantly. Not only that, it’s a fairly unique premise and one that sets the imagination on fire with so many questions about this strange and grim world. Where are the other humans? Why do demons want to eat kids? Is this even Earth? The best kinds of stories are filled with mysteries that keep people engaged. And engaged you will be if not downright obsessed. Writer Kaiu Shirai is an expert storyteller. By that I mean this tale consistently has some of the best cliffhangers I’ve ever read. Week after week, the story ends with a shocker that makes you ravenous for the next week’s chapter to see what happens. Serialized entertainment is supposed to end on some kind of cliffhanger to keep fans coming back for more, but it’s taken to another level in this manga. Another example of the great storytelling is the slow methodical drips of information about the world. It’s a world filled with mystery, especially considering the kids literally live in a walled off orphanage. Like them, we know very little about this strange and dangerous place. But week after week, we learn just enough to sate our curiosity until the next chapter. You won’t find stilted, longwinded multi-balloon bouts of exposition in this manga. 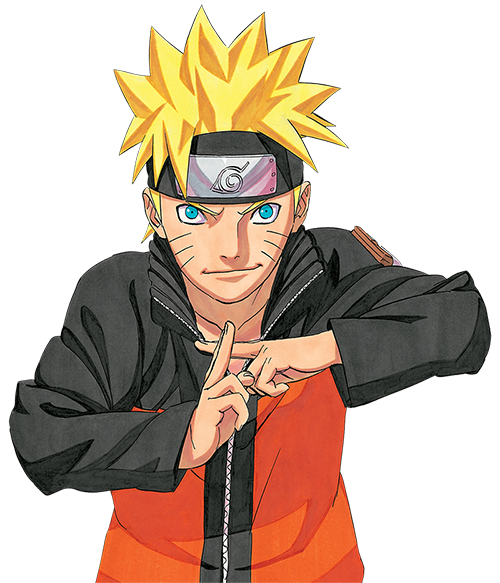 But even with all that good stuff, a truly superior manga has to have great characters. Ones that readers can sympathize with and cheer for. Tension cannot exist in a story if you don’t care about the people in it. And the players in this yarn are not your typical one-dimensional heroes. Nor are the villains, for that fact. Emma is one of the best main characters in a manga in years. An intelligent, strong female lead who inspires those around her with a positive attitude and incredible acts of bravery. Her main cohorts are also compelling. Each has their quirks but are dependable, and together they're a formidable team. And the main villain, Mom, is just as intelligent and interesting as the heroes. The cat and mouse play between the Emma and Mom is gripping. 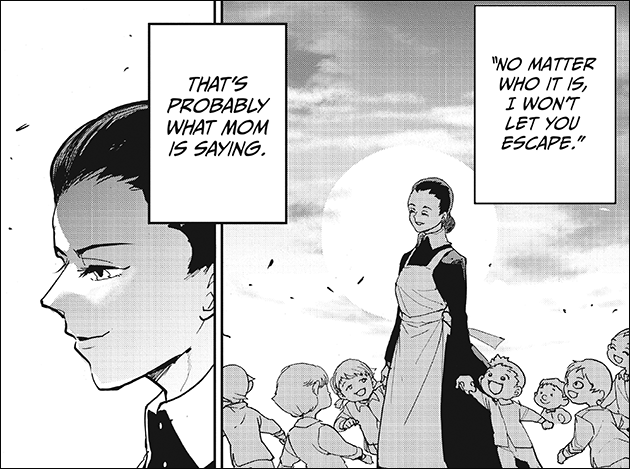 Emma and her inner circle are literally the smartest three kids in the Orphanage, but Mom is just as cunning and has experience on her side. Watching them match wits and try to out-scheme each other over and over is pure entertainment. And because they’re so evenly matched, you’ll end up respecting both sides, despite the fact that Mom’s working with the enemy. They say a hero’s only as good as their villain, and in this manga both are superb. All of these ingredients add up to a tasty treat, but the icing on the cake is the art. 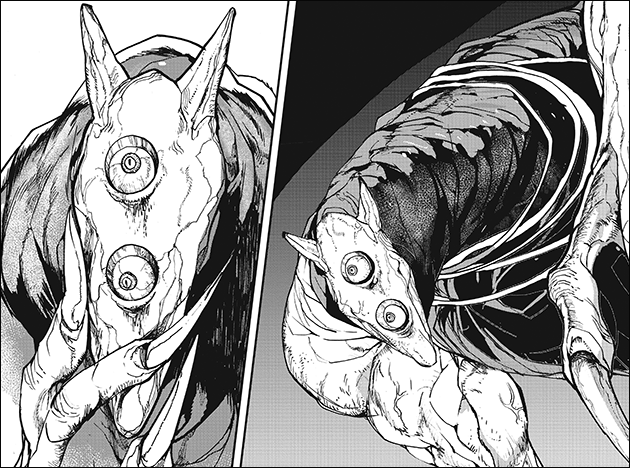 The art in The Promised Neverland is exquisite. Artist Posuka Demizu has a distinctive storybook style that deviates from the typical shonen fare. And Demizu Sensei's faces are delightful. The organic style gives each face so much emotion and character. The artist's color pages are not only gorgeous, they’re downright artistic. Not just bright, colorful fun pages for readers to enjoy, but highly conceptualized, stylish pieces that sometimes contain clues about the story. Demizu Sensei is one heck of an illustrator too, as you’ll see if you pick up this amazing art book. And the final ingredient that propels a great manga into the stratosphere is the “X Factor.” It has the special something that’s hard to put a finger on but separates it from the rest of the pack. 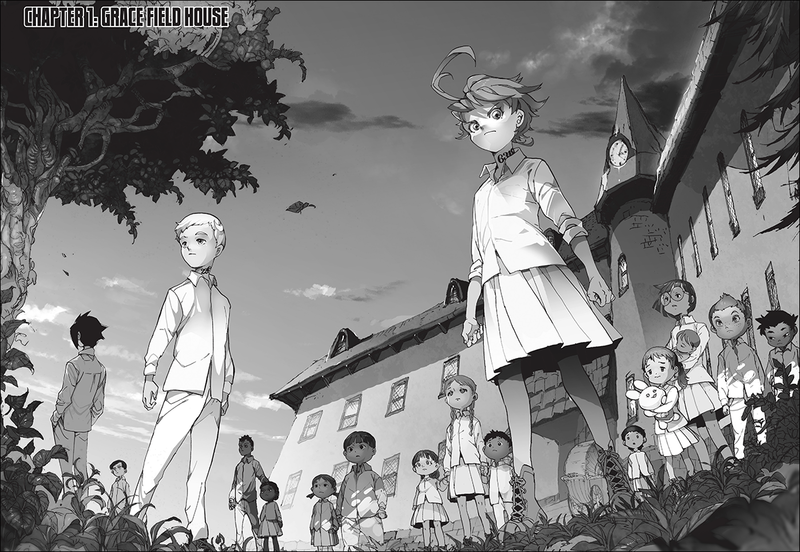 One volume of The Promised Neverland and you’ll see, this feels different. And because it doesn't adhere to shonen or even manga norms, it should appeal to non-otaku as well. And that’s a huge factor if a manga’s ever going to break into the mainstream. My prediction is that if they make an anime, this is going to blow up. (Past me was correct. This rarely happens, past me is almost always wrong.) Unless they totally botch it, the next big thing will be The Promised Neverland. And if that happens and suddenly there are hundreds of thousands of fans it will make me very happy. Not because “I called it,” because it deserves the attention and acclaim, it’s just that good. Oh, side note, the demons look really freaky, too. Cannot wait to see some demon cosplay at conventions! You can read the latest chapters for free on this site or pick up the graphic novels!